We are getting married in May on Siesta Key and looking for a photographer. I have already emailed: Jason Angelini, Justin Demutiis, Carrie Wildes, Kerri McConnell, Grant Thompson, and Lifes Highlights. Does anyone have any reviews of these photogs or any other recommendations? Check out Stephanie A. Smith. She shot our wedding in October and is amazing! I highly recommend her. Congrats on the elopement! Trying Kristen Wynn Photography... she's amazing and very affordable! We love our photographer, she is right here in Sarasota, so you don't have to pay anyone to come here (unless they don't charge). Check her website and tell her Christine sent you. Her name is Marina. 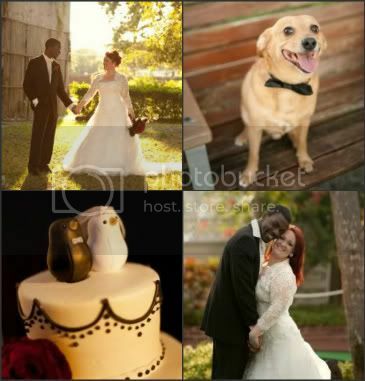 We love our photographers and they are out of Sarasota as well, Mandy and me studio http://www.mandyandmestudio.com. WE just had our engagement session and the photos turned out amazing and we can't wait till the wedding. I LOVED Jason Angelini... He is absolutely amazing and worth the money. his wife does all the editing and if you ahve any questions they are VERY qucik in their replies. We are using Life Highlights. Scott anf April are great and We are getting married in Venice! You wont be disappointed! I am also using Alicia from http://www.pureemotionsphotography.com/ she is amazing! Check out Studiofourphotography.com. Great photos and the prices are incredible.